The Internal Revenue Service is constantly releasing reports of new tax cuts, new tax regulations, new rules, laws, technical corrections, court decisions, and more. It is my job to keep my clients informed of these changes. I also encourage clients to utilize any tax credits and/or deductions to increase a refund or reduce a tax bill. Additionally, we urge clients to contact us about the tax ramifications of any life changes that may effect their tax picture during the tax year. The best way to maximize tax savings is to meet with me regularly to discuss how new tax laws, credits, and deductions can apply to your circumstances. I recommend that both new and established clients meet with me at least annually to discuss their financial situation and create a tax plan. 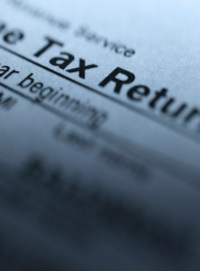 During my consultation I will identify the best strategy to minimize their tax liability.